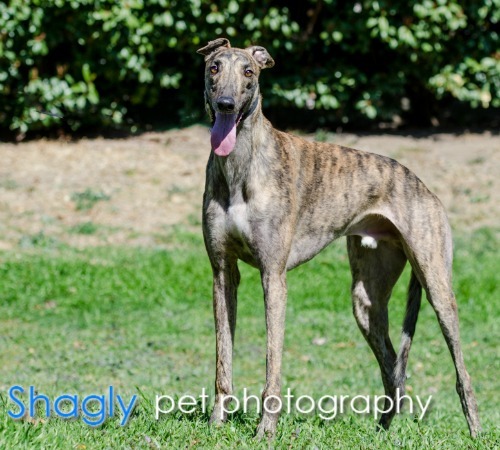 Al, aka All Right Now, is an almost 4-year-old brindle male born on March 21, 2012. His sire is Stevie Pree and his dam is Electra Chick. 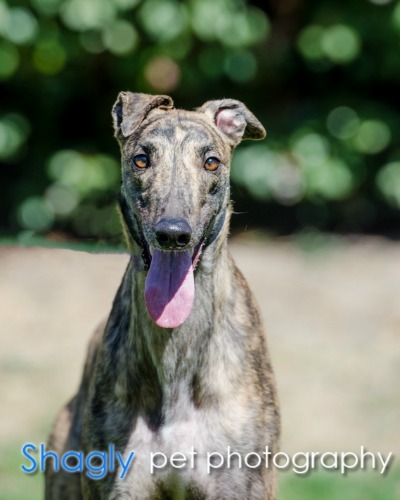 Al has never raced, as he is a shy boy who is frightened of loud noises. Al was tested with cats and deemed intolerant at this time. Al was in a home for 9 months, but has returned to GALT due to his owner's health problems and no fault of his own. Al is a reserved and cautious young fellow. He looks both ways before going out the door and is reluctant to go out alone. Once outside, his long legs take him gracefully across the yard in just a few strides. It is beautiful to watch. 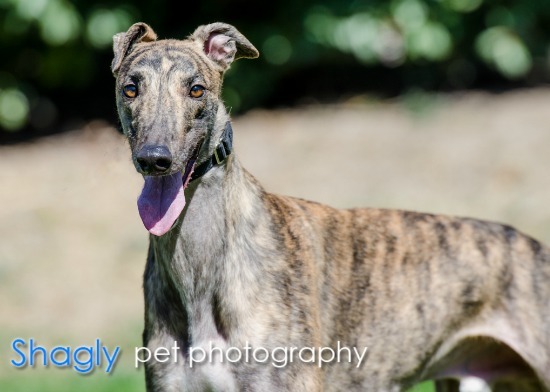 He is a happy, smiling boy who gets along well with his foster brother greyhound .He sleeps through the night in his crate and is trusted with the run of the house during the day. He has the softest brindle fur, fold over ears, and a twinkle in his eye. Al is a work in progress. He has been so shy and is gaining confidence daily. It is such a pleasure to see him blossom and come into his own. He is a good companion and would probably do best in a quiet environment where he can continue learning to trust at his pace and just be Al.